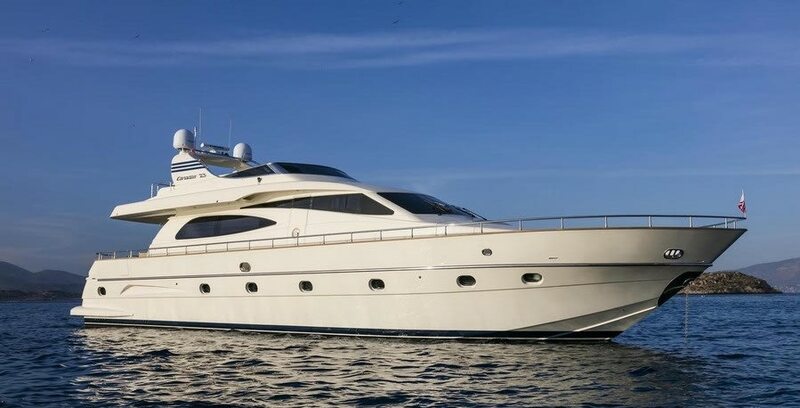 'Gorgeous' truly lives up to her name: this beautiful luxury motor yacht was built by Canados in 2004 and refitted in 2014. 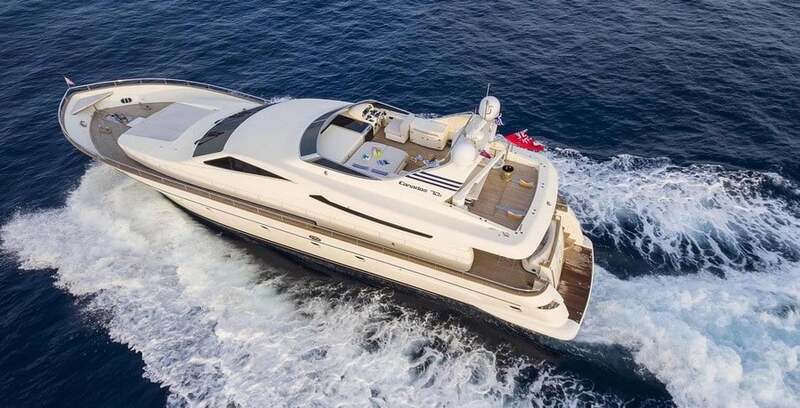 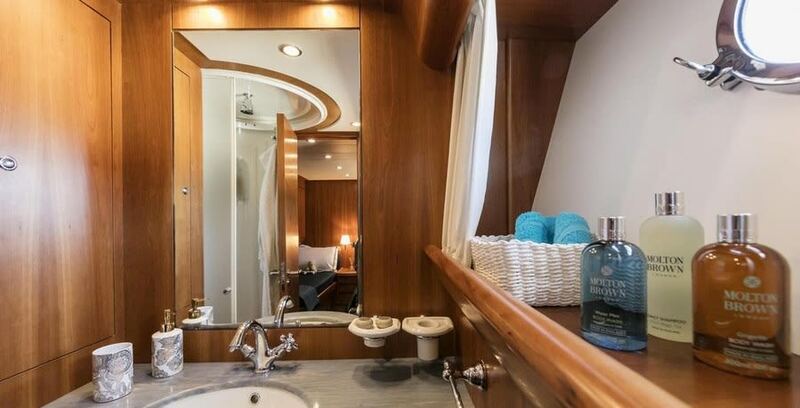 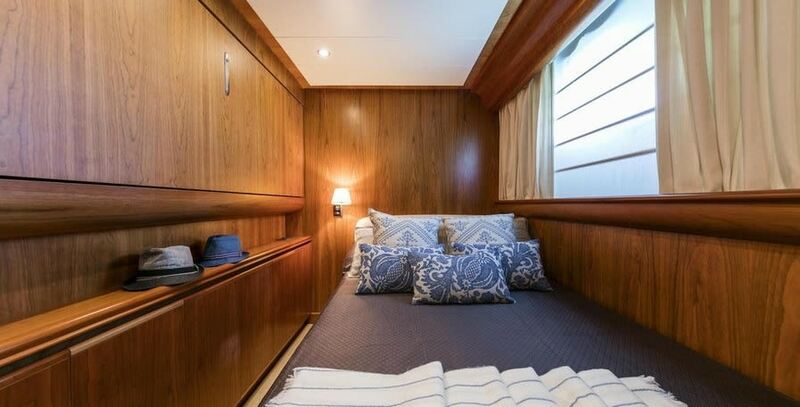 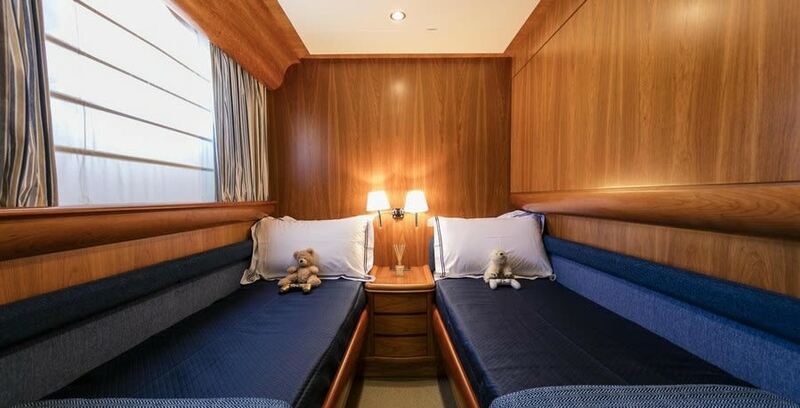 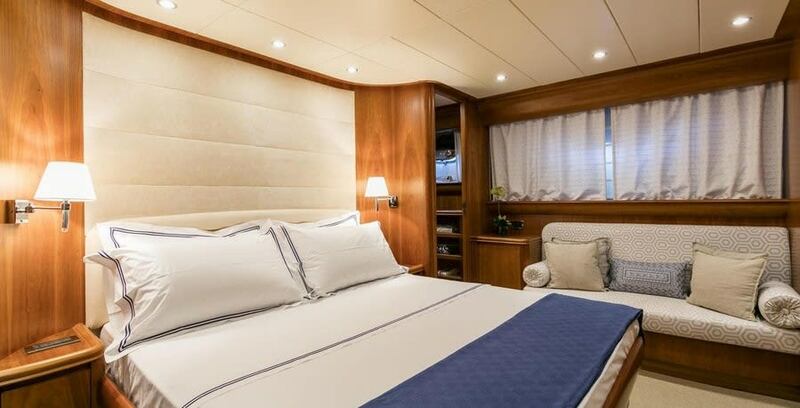 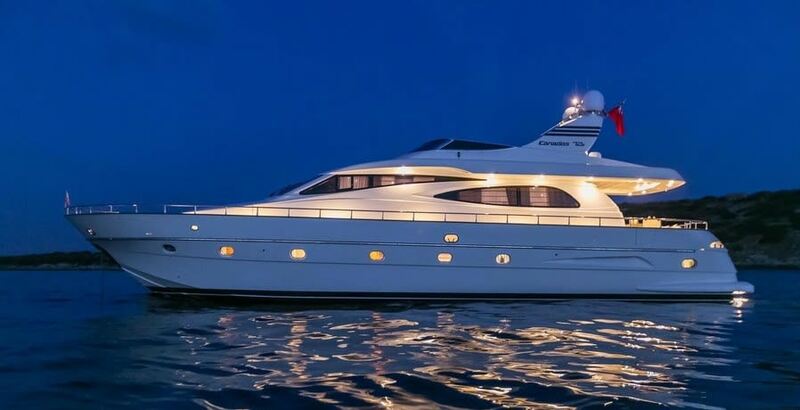 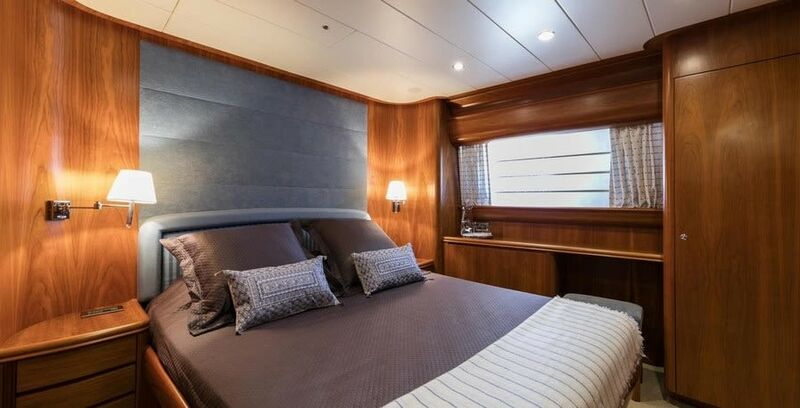 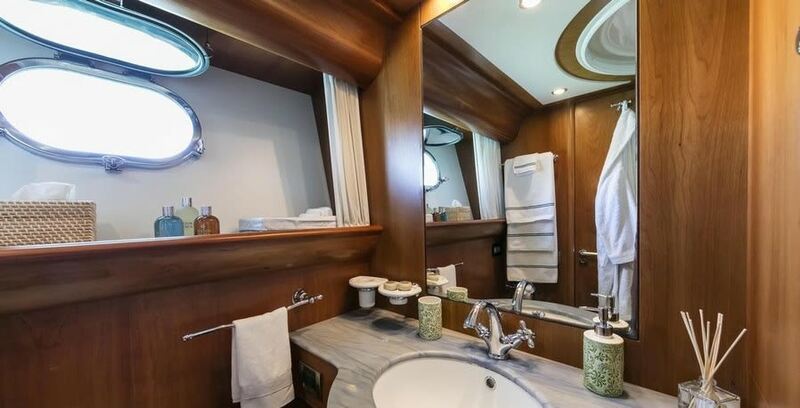 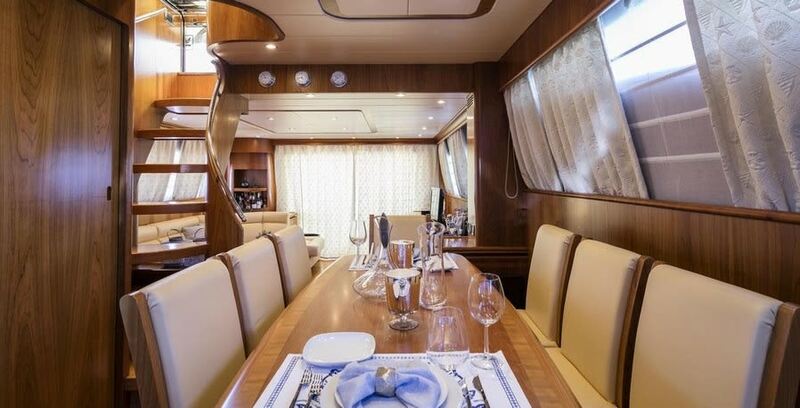 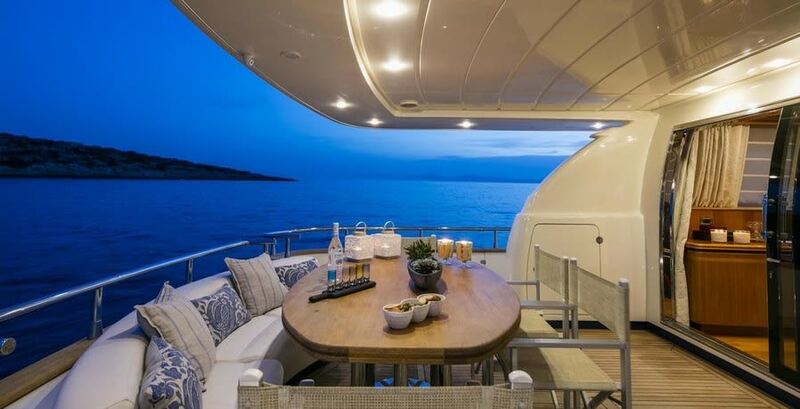 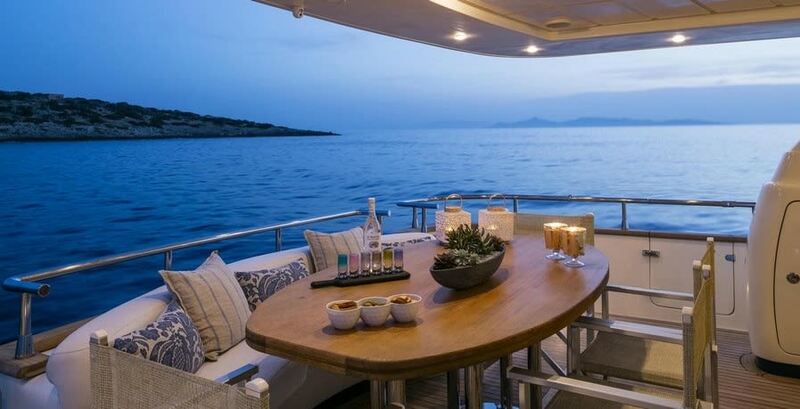 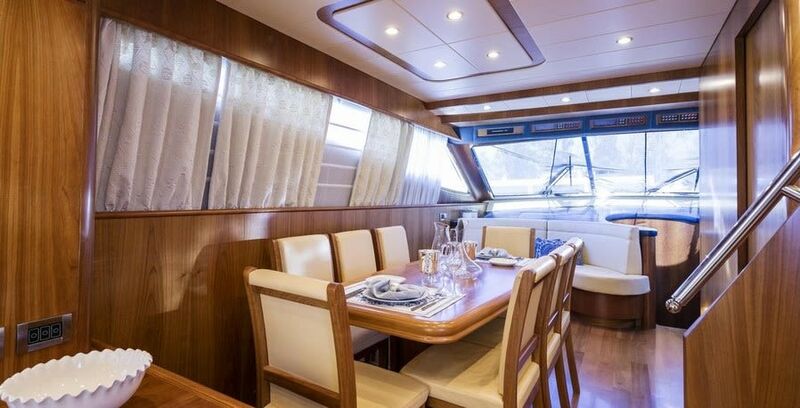 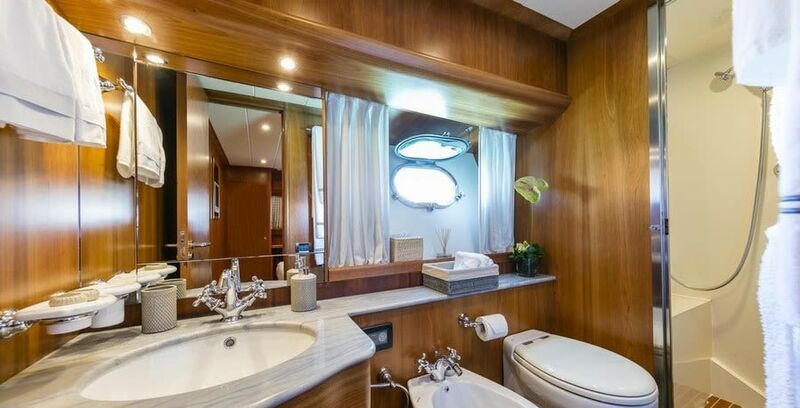 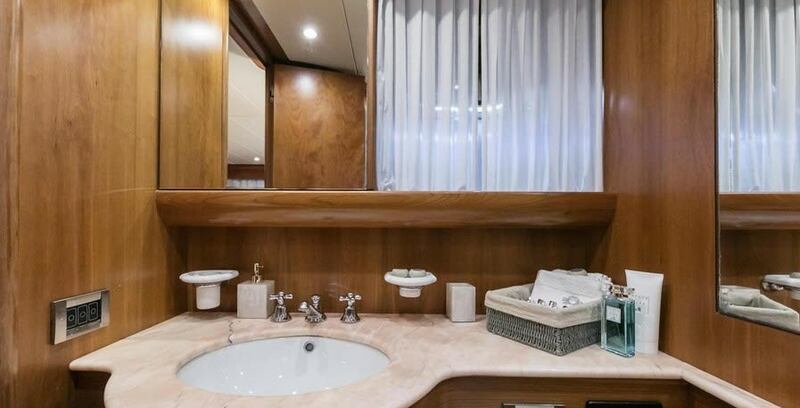 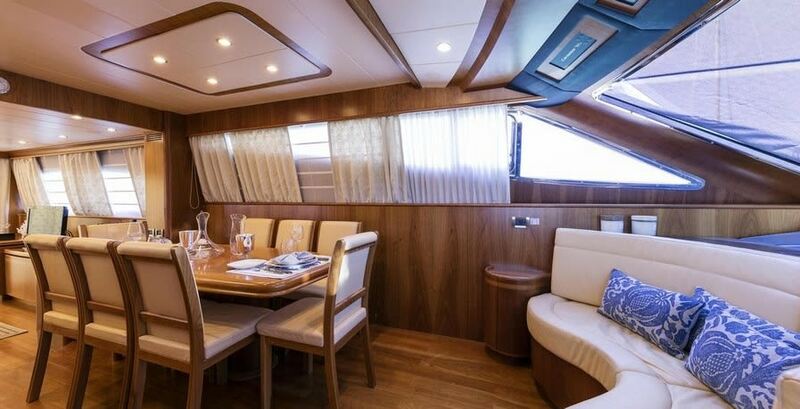 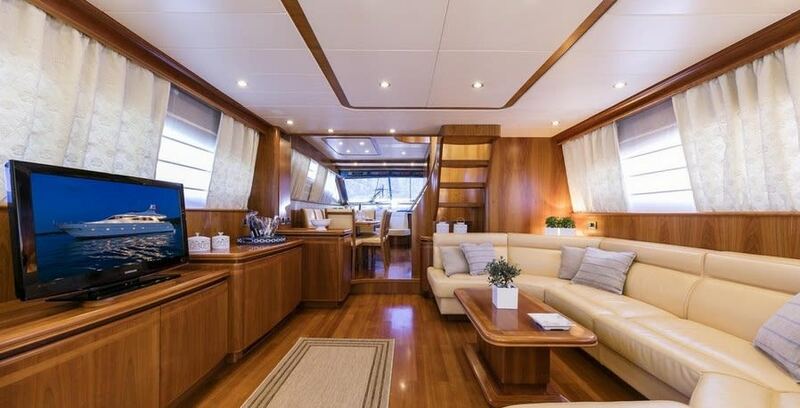 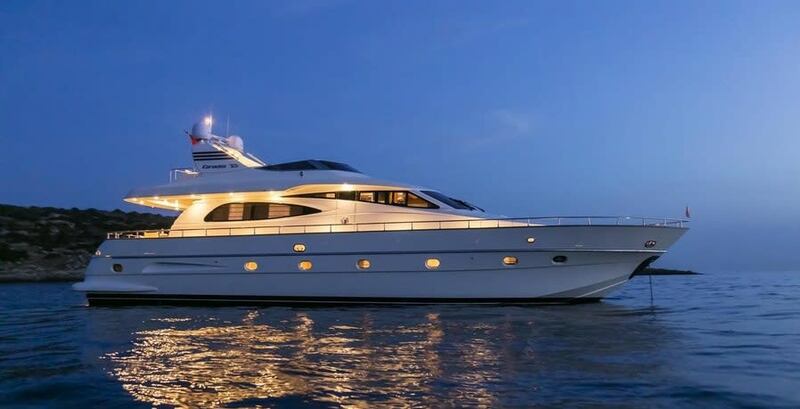 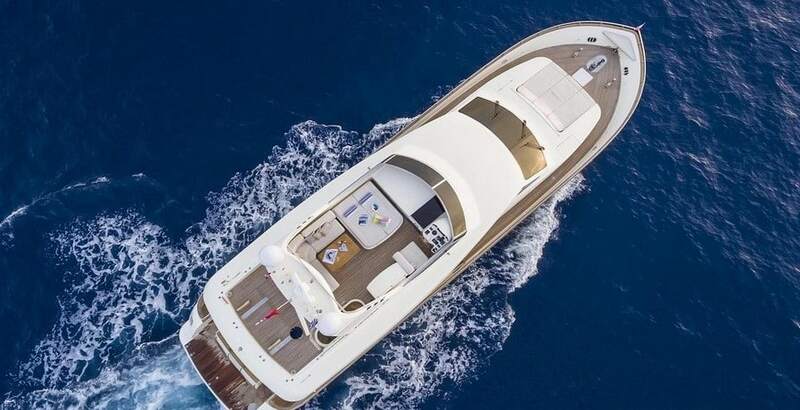 She combines a sleek exterior with a chic interior, and she also has impressive facilities and electronics. 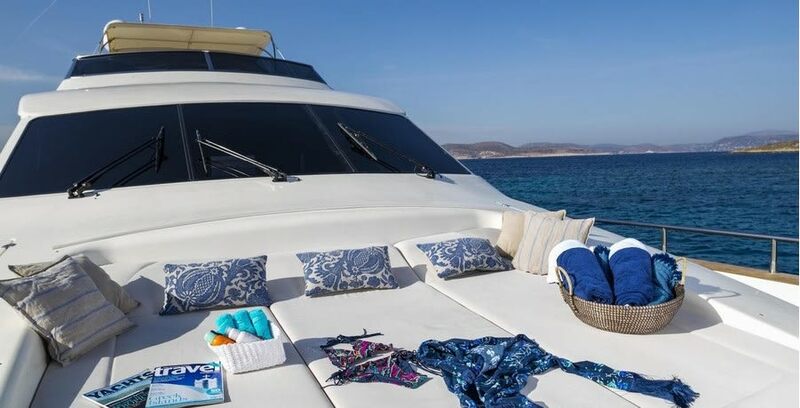 She comes with 3 professional and experienced crewmembers, who are dedicated to ensuring that your holiday is relaxing and memorable. 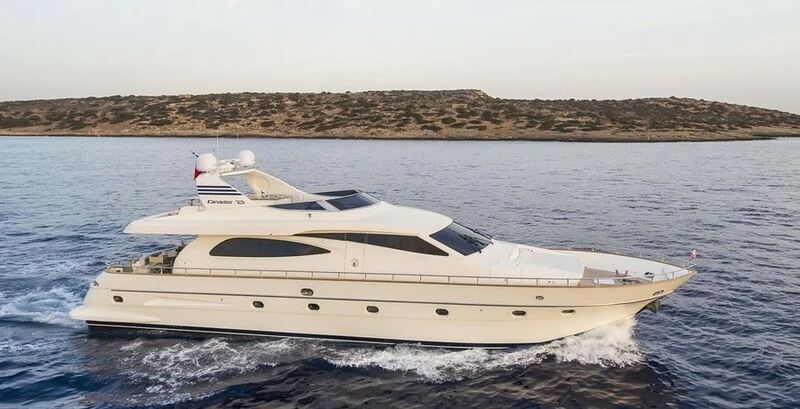 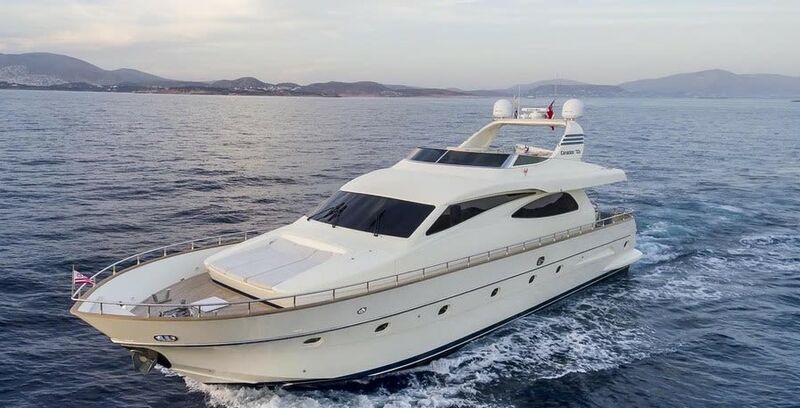 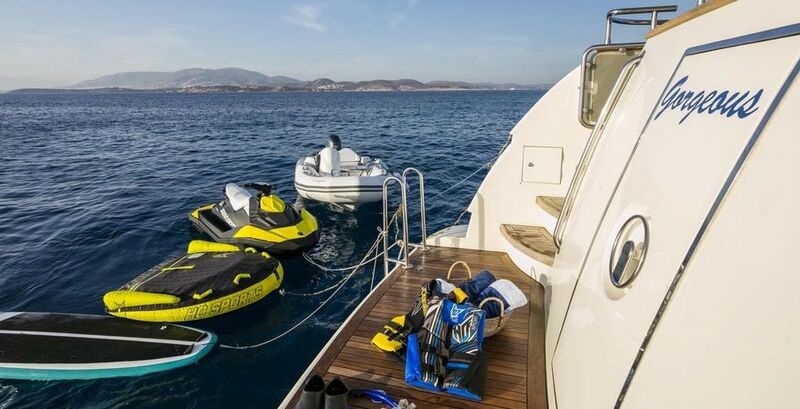 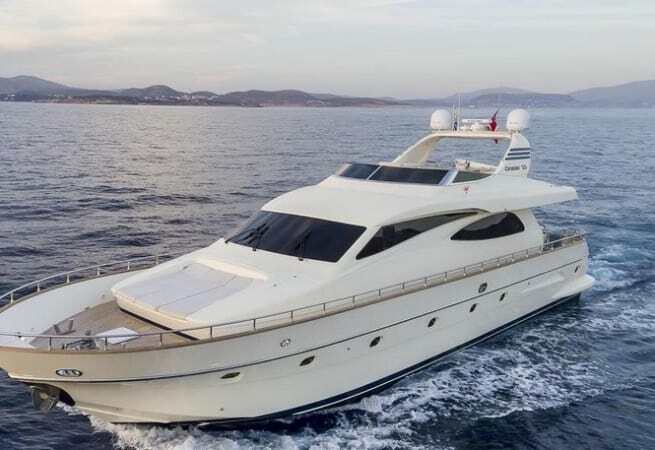 Her twin Diesel MAN engines enable her to cruise comfortably at 25 knots. 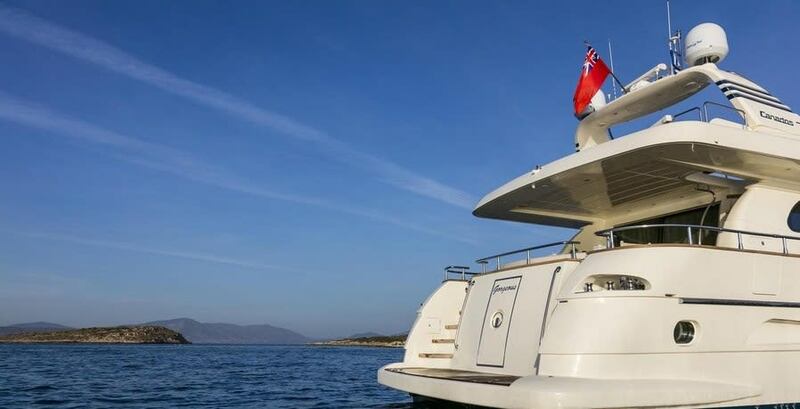 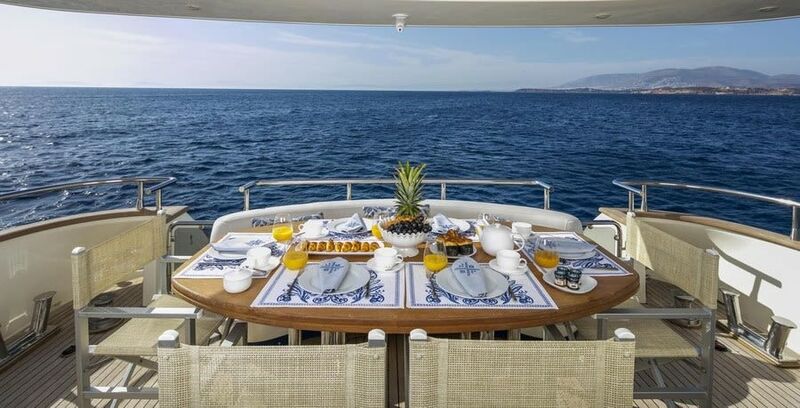 Prices start at €24,500 per week during low season, or €28,000 during high season. 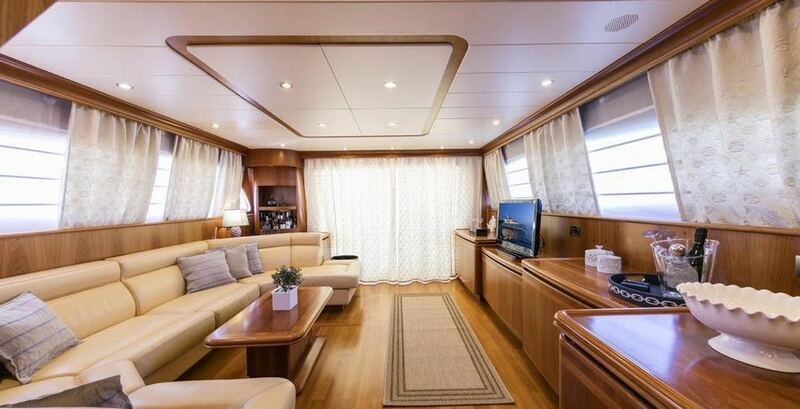 The saloon boasts a host of modern electronics, including a LED 43" Smart TV with satellite, DVD player and surround sound, as well as a PlayStation 3. 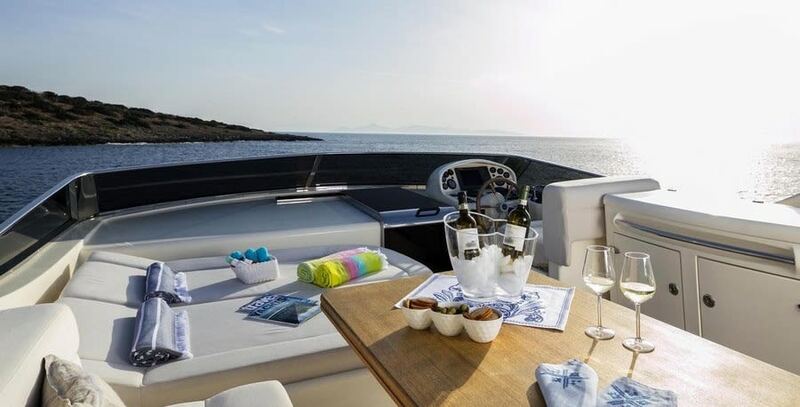 The flybridge also has a built in audio system.